The futility of words, finds its solution in the Constellations poetry of soul. "The futility of words" is so often my experience in speaking of the deep movements of soul in a Systemic Family Constellation. The alchemical process of the Constellation moves us through the generations, beyond the boundaries of space and time and multiple dimensions of consciousness, to an entirely new landscape of being. We are altered in life changing ways. The movements occur at the speed of love. As we work, changes may be experienced even in that moment by family members at great distance. 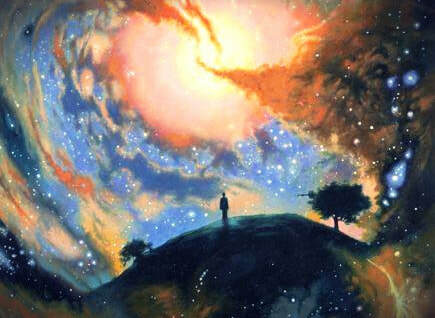 Blessedly I am gifted by the healing sentences that emerge from the Constellation "field". a poetry of the soul. transforming the very matrix of our DNA." 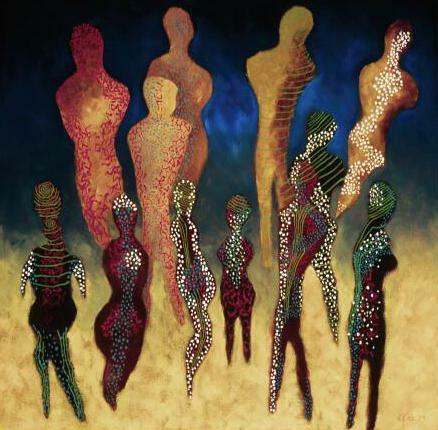 Family Constellation Work probes the secret soul or conscience of the family or system to reveal the hidden dynamics of love. 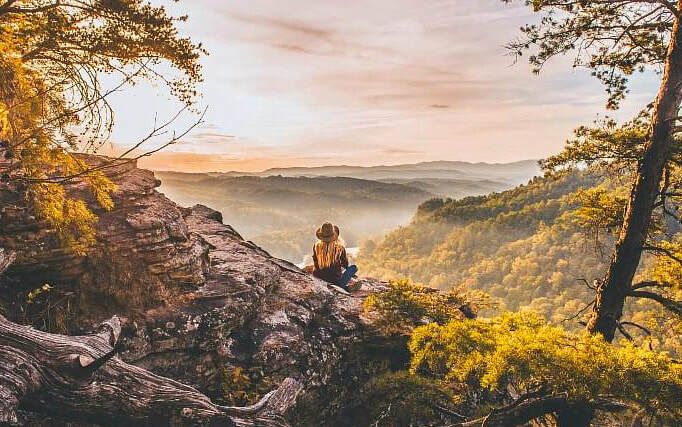 Once brought to light, this profound soul work releases ener- genetic identifications, and entanglements and brings long-term, and often life changing resolution. Krista Jarrard has been a dynamic force as facilitator, trainer and pioneer in the evolution of the Systemic Family Constellation work for over seventeen years. Krista brings a deep intuition and remarkable scope of wisdom to her practice with clients worldwide. Krista is passionate about supporting the current shift in consciousness by working with clients to transform their ener-genetic inheritance of the family lineage. She has brought this multi-dimensional healing to clients around the world, and to international communities for awakening. She offers Telephone Skype Constellations, trainings, and monthly workshops. ​ of the past, and our limitations on the loving person we wish to be. It's THAT time of year again, the season of celebration and family gatherings. Whether we enter with open hearts and the best of intentions, or dread the thought of making our way through, it is a time when we are face to face with just how mature and evolved we really are. Ah yes, FAMILY, the final frontier. Or, as the saying goes, it's where the rubber hits the road, and on the road to awakening there is no bypassing our energetic family inheritance. Awhile back I heard a sweet story during a Dharma talk. I was sitting in the back row of a Zen Center, and the center's Chaplin was sharing about her longtime practice, and " life off the cushion." The audience sat in rapt attention and stillness... UNTIL, she mentioned the F word, FAMILY. My back row seat afforded me a unique vantage point of the entire room. It was fascinating to witness that people immediately started moving, itching, stretching, and coughing. Just the thought of family moved through the apparent serene room as a visible wave of discomfort. As she dove into her story describing a challenging relationship with her parents and the difficulty in being with it, she shared something that offered her peace of mind. She was surprised and relieved when her revered teacher told the her what she had discovered in relationship with her own parents. "Forty years of practice has gained me ten minutes with my parents" What a revelation, with all her focused hard work, the Chaplin realized she was not alone in the struggle to connect open heartedly with those closest to her. So we are in good company when it comes to courageously facing the behaviors and issues that persist that we hold unconsciously for our family. "Anytime we gather with family, disturbances and traumas from generations past may show up in a myriad of behaviors and reactions." ​Anytime we gather with family, disturbances and traumas from generations past may show up in a myriad of behaviors and reactions. You have your memories of holidays passed, and additionally the energetic memories of others live on in you as well. When I factor in the absurd stress that makes up our current cultures observance of this time of year, it sometimes feels like the holidays have become one big trauma field. It is no wonder that people become sick, depressed, and suicidal. You can begin to change that, starting right now. A Family Constellation facilitates shifts on a soul and DNA level. Through transforming our energetic family inheritance we may experience what lead to a difficult reaction in the past no longer holds a charge, it is no longer a disturbance. In its place a new response is now available; we and those around us feel safer, more loving, and can stand in new found strength. Amazingly the Family Constellation creates shifts in an entire family without anyone else having to be involved. For the first time we may feel included, acknowledged, and whole. When the past is present, it is showing us there is unconscious love waiting to be transformed to conscious love. I invite you to enjoy this season, take a step in gratitude towards an awakened heart and life. Our lives, our families, our planet needs us at full open hearted loving capacity, now more than ever. She is the founder of the Center for Systemic Healing, and creator of Healing at The Heart of the Matter Immersion Learning Program. She offers Telephone Skype Constellations and monthly workshops. ​I often work with my clients to engage a knowing that they are the result of generations of resilience, strength and wisdom. 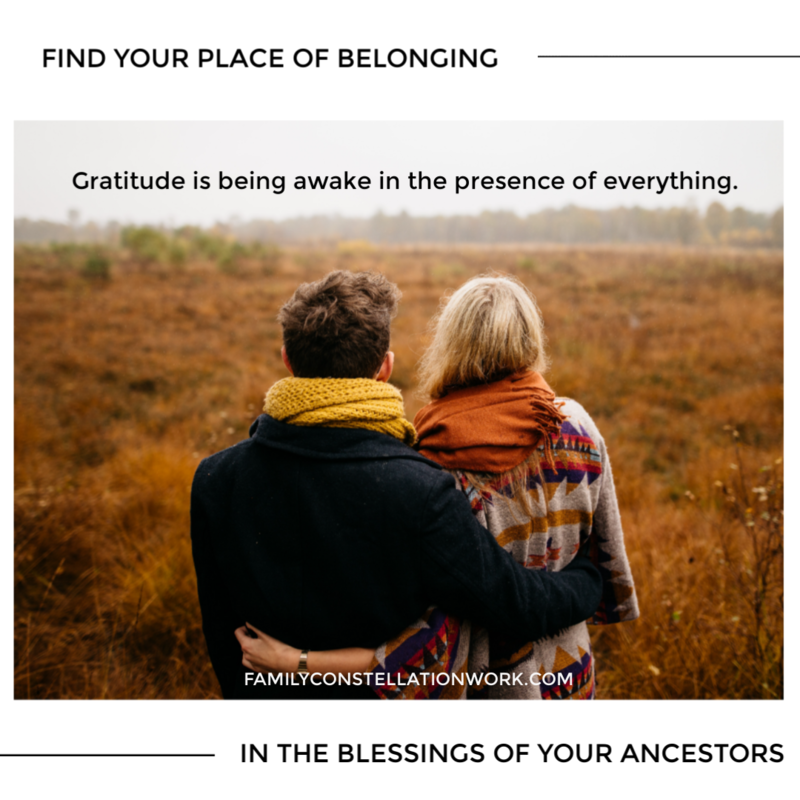 Your ancestral experiences converge into your being offering a reservoir of support when the lines are open to the flow, as when we access it through the Family Constellation. I am reminded years ago Bert Hellinger would many times work with just three words in a Constellation. Yes, Please, and Thank You. It is profound to experience in the Constellation circle and it is powerful to demonstrate in life. We are fortified in our remembering and may feel a flood of love pour forth in reunion with our roots and those that have passed life forward. It is this circle of belonging that one experiences gratitude as a declaration of wholeness. "Gratitude is not a passive response to something given to us. Gratitude is being awake in the presence of everything that lives within and without us. Gratitude is not something that is shown after the event. It is the deep, a priori state of attention that shows we understand and are equal to the gifted nature of life." Receiving life through our parents is a movement of gratitude, and a deep reorientation to life. 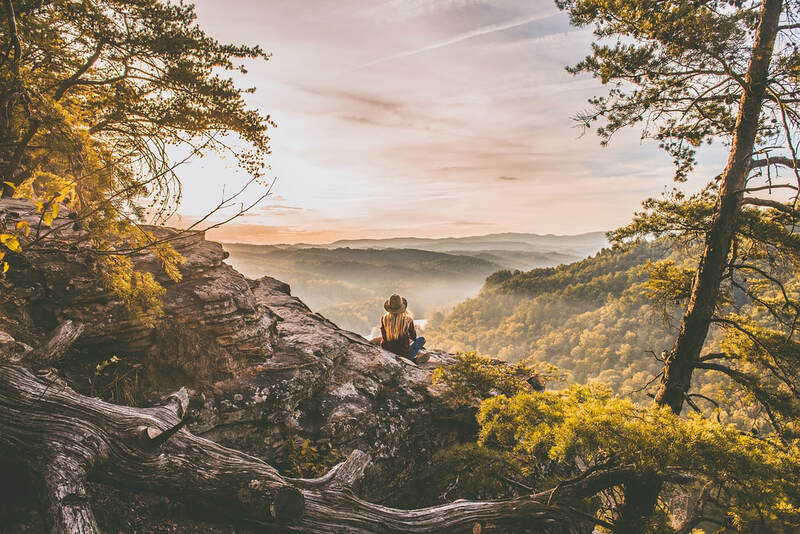 This reorientation through gratitude begins with the recognition that Life itself is a profound gift - the whole of life and each and every moment in life. Gratitude is a stance of the soul, says Buddhist scholar Joanna Macy. This resonates strong and true for me. In fact, gratitude is the ground from which you create the foundation to life and wholeness. It's the fertile soil where you root into the truth of who you are, and how you came to be. You can cultivate feelings of profound gratitude. David Whyte says that "Thanksgiving happens when our sense of presence meets all other presences. Being unappreciative means we are simply not paying attention." We are then wise to wake up and pay attention. Through that I experience Constellations as an extraordinary gratitude practice. When we Constellate, we are fully present to the wholeness of all that is present. So my friends I wish you a blessed day of Thanksgiving. I am grateful to work with you and acknowledge your courage and commitment. It is an honor to be of service in your souls unfolding. Your Resistance Speaks Volumes; Understanding The Secret Paradox of Growth. ​ Understanding why we say no to what we desire requires a knowledge of the paradox of growth, and the hidden allegiance behind it. You know the saying "two steps forward, one step back." 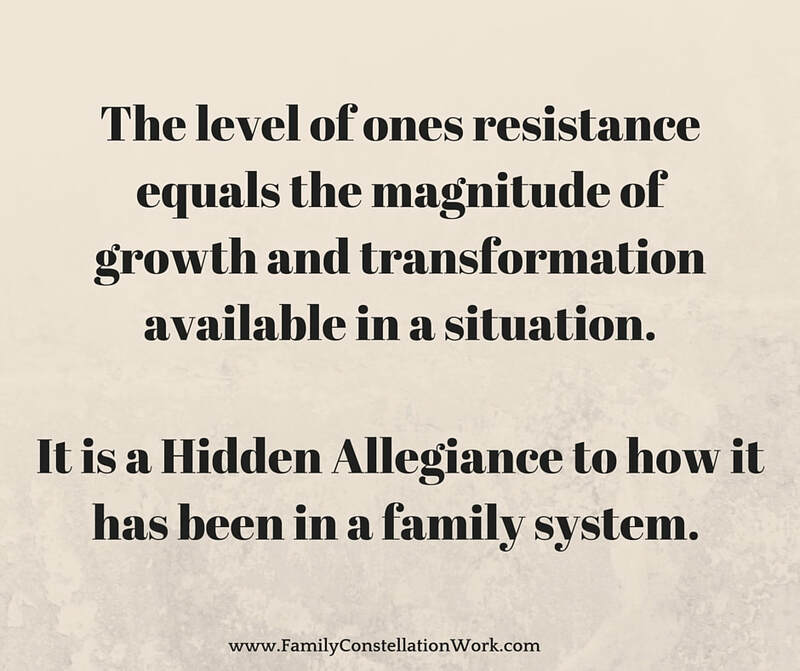 As a Systemic Family Constellation trainer and facilitator I have observed there is a strong energetic family component to this well-known phenomenon of growth. There is something about this work that the soul "gets it" that this is REAL change and the powerful bonds of the family field becomes very apparent. We may experience resistance or vacillate, pulled back and forth, sometimes to the point where any and every excuse under the sun will come up and be brought to our attention. This happens so often, I now teach about this paradoxical phenomena of authentic growth. Think about it, how many times have you been within reach of a goal, an exciting new opportunity, or maybe you have made a big breakthrough in life only to be pulled back into a place of frustration, stuck in the muck of repetitive patterns, or just the same old, same old. Why is it we pray for guidance and change, and when it finally shows up we say no to it, or allow unexpected issues to stop us. The Systemic Perspective has the answer to that age old question.We see and feel it in our Family Constellations, clearly visible. The answer lies in an unconscious loyalty to the past. 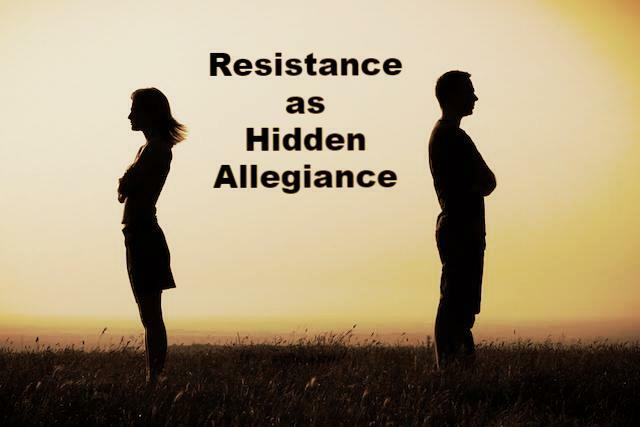 We may try everything to succeed, self help, life coaching, self-mastery programs but beyond issues of fear or mistrust that things could actually be different, lies a hidden family allegiance to how it has been in the family. As part of humans unconscious longing for belonging, children will seldom dare to live a happier or more fulfilled life that their parents. We are the children, as well as our parents, grandparents, on back in our lineage. This bond is powerful strong. Through the Constellation process, what was hidden now is in plain sight. It is this deep allegiance to belonging, our heart in service to what has been that is operating in the vacillation and resistance. The unconscious fear is that we will no longer belong, so we must carry on as it has been. HERE IS WHAT IS IMPORTANT TO KNOW. Until we transform the limitations our family inheritance of how it has been, we are bound and bonded to the past, out of love. The bond is that strong, and that simple. The depth of this connection is more powerful than you would imagine. It is primal and in our heart field and in our DNA and is connected to our survival as a species. Therefore it is the key to our evolution and growth. I have come to understand the level of resistance equals the magnitude of growth, and transformation available in a situation. Our growth and evolution depends on stepping beyond the boundaries of family conscience. Family Constellations do this by INCLUDING all that has been. This is the great paradox of authentic growth. Quite simply through the Family Constellation Work we bring this awareness into full focus and practice. Committing to the Constellation process supports one through any resistance that may show up along the way. Any indecision, unexpected illness, family crisis, financial issues that shows up just as you are ready to move forward is seen as part of the process and included with respect to that allegiance. Therefore it not as a reason to stop, rather it clarifies every reason to move forward to follow your souls path. In other words; You have resistance? GREAT! We know you are on the right track! AND we understand where it comes from. Our family allegiance can be supportive as it was intended. The fact is when we clear and bring strength to the family system it transforms, and supports our growth and wholeness. Here is that paradox again. Ultimately our ancestors want us to thrive. Transforming family burdens to blessings is the profound gift of this work, allowing us to access the collective completeness and gifts of our lineage. ​Our family allegiance can be supportive as it was intended. The fact is when we clear and bring strength to the family system it transforms, and supports our growth and wholeness. Here is that paradox again. Ultimately our ancestors want us to thrive. Transforming family burdens to blessings is the profound gift of this work, allowing us to access the collective completeness and gifts of our lineage. If you have tried everything and are experiencing issues that persist, Family Constellations is for you. Unlike traditional therapy or healing process, the Constellation process as developed by Krista Jarrard gets directly to the heart of the matter. In a very specific manner Krista's work accesses solutions and transforms current day issues quickly and effectively. If you struggle with; Persistent issues even after years of healing work. Unexplained sadness, loneliness, fear, depression. Failed relationships, Difficult children and family life. Unresolved Grief, Chronic Illness, Unsuccessful career. Family Constellations have the ability to stop this repetition of suffering, fostering long lasting, life changing results. Experience the deep inner movement that releases conflict, and opens one to greater levels of well being and trust. Amazingly the healing in a Constellation moves into one's family and life without anyone else needing to be involved. Krista Jarrard, founder Center for Systemic Healing. Krista Jarrard has been a dynamic force as facilitator, trainer and pioneer in the evolution of the Systemic Family Constellation work for over seventeen years. Krista brings a deep intuition and remarkable scope of wisdom to her practice with clients worldwide. Krista is passionate about supporting the current shift in consciousness by working with clients to transform their ener-genetic inheritance of the family linage. She has brought this multi-dimensional healing to clients around the world, and to international communities for awakening. She is the founder of the Center for Systemic Healing, and creator of Healing at The Heart of the Matter Immersion Learning Program. ​Krista’s upcoming book “The Radical Act of Inclusion” reveals the secrets to her work with Inclusion. A Haunting Connection, Present School Shootings and Past Wars. I sit with an uneasy heart attempting to find my voice, troubled by the tragic events of the "latest" school shooting. Like everyone else I am heartbroken at the loss of our children, and the life of fear they have inherited simply being a child going to school. People are seeking viable answers to "why this madness continues". As a Family Systems facilitator it is impossible for me to miss the hidden links when it comes to these troubled young men and boys involved in school shootings. I enter the conversation with respect for all that is present with the inquiry. These insights offered from my long time practice as Systemic Family Constellation facilitator address one facet of a complex question. 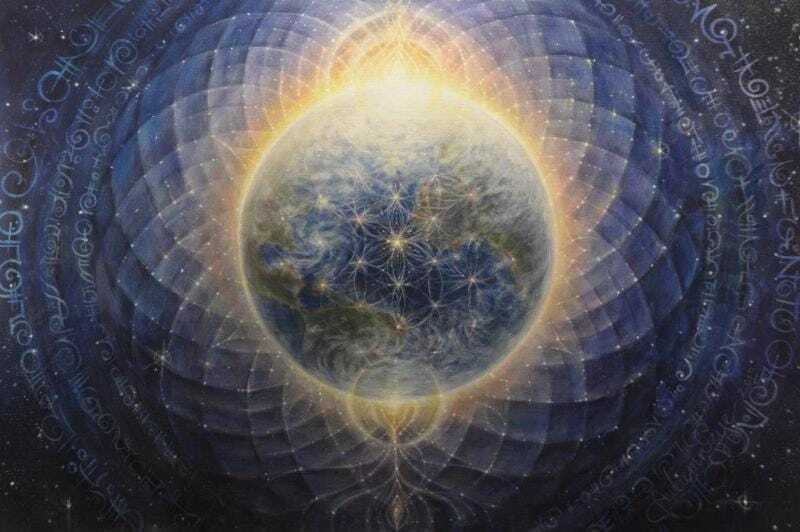 I share with a respect for a work that brings healing and creates solutions, offering a visceral understanding; that we truly are all connected, to each other - AND to who and what occurred before us. These observations are just that, and not political in nature. When working with inclusion there is no one at blame. To see each person as human is a first step to healing. When I look beneath the surface of what appears to be chaos and separation there is a symmetry which guides me to the roots of what joins us. We know we inherit our physical DNA, but along with the color of our eyes and hair we inherit much more. The conditions, patterns, traumas and strengths as they existed in our families past are also carried through DNA. I work with my client as part of this larger whole, their family system. Through this lens I am aware people are attached through their linage and energetic inheritance. This most often reveals personal issues have their origin in the families past. We have observed pain and trauma, and resilience can remain alive in a family for generations. Understanding the role of inherited trauma is an essential piece of the puzzle in understanding WHY patterns persist and difficulty continues. Systemic Family Constellation work as developed by Dr. Bert Hellinger in post war Germany was an early therapy first illuminating this understanding of family inheritance. 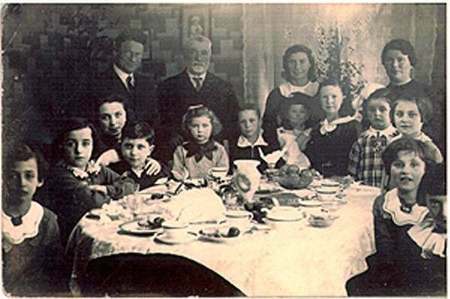 It was his experience with hundreds of clients in the potent climate following the Holocaust, he observed everyone in a family system had the right to belong, and with this inclusion profound solutions came to light. Further supporting what we have witnessed for over thirty years, is the emerging field of Epigenetics. This new science sees that genes can be turned on and off, and expressed differently through changes in environment and behavior, transmitting effects at a cellular level and across generations. It reveals the hidden influences upon the genes affecting every aspect of our lives. At the core of this new field is a simple but extraordinary idea - our genes hold a 'memory'. This gene memory creates a resonance field of knowing and belonging. It is this extraordinary tracking system that allows our hearts and actions to remember what our minds would forget. This knowledge is reflected in the pioneering work of Rachel Yehuda, professor of psychiatry and neuroscience at Mount Sinai School of Medicine in New York, and one of the world's leading authorities in post-traumatic stress. Her work and research with children of Holocaust survivors, Vietnam Vets, and pregnant women who survived the 9/11 attacks lends scientific proof how trauma and resilience cross generations. From the Systemic Perspective war is a dominant source for pain, trauma, and disconnection as we move through history following its effects on families, and communities. This is seen in my clients and their children's issues transformed by connecting in love to parents and relatives that perished in the Holocaust. Or a client's night terrors stop after connecting with respect to her father's experience in Vietnam. Then there are my many clients whose children (most often boys and young men) suffering with Autism, ADHD, Bi Polar disorder find relief when the generations of men and women that suffered in recent wars are seen, included, and given their place of belonging in the family system. The experience of war influences the fabric of our culture in ways unimagined. A majority of Vietnam Veterans struggle with chronic PTSD symptoms, with four out of five reporting recent symptoms when interviewed 20-25 years after Vietnam. That is just one war of many. 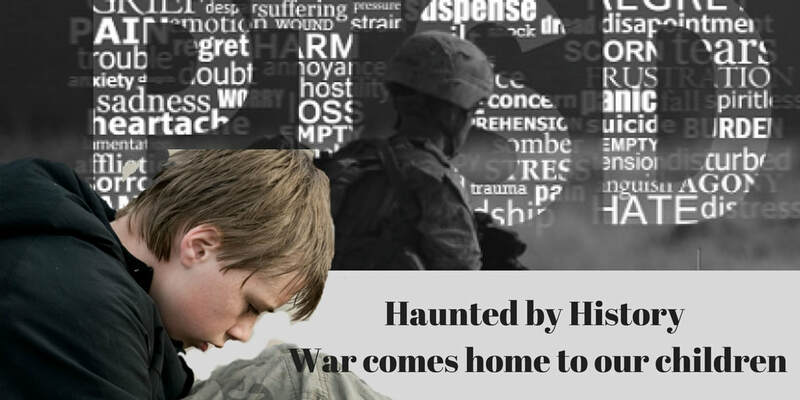 These unseen wars have created a burden on our men that were in service to their country. This burden has affected their ability to father. One thing that unites school shootings is fatherlessness, either minimal involvement with father or no involvement. 51% of women under 30 are raising children without father involvement. As boys become young men, their suicide rates go from equal to girls to six times that of young women. Young men and boys are in crisis and I see history repeating itself in these shocking events. People wonder why things are different here in the US than from what we see in many other countries. One crucial part of the equation is our wars being fought on foreign soil. Out of sight and out of mind has created separation and collective amnesia. The legacies of actions unseen do not go away, they follow us. We are being forced to look the pain of the past, in the face. Unlike other countries it appears we have yet to learn from the past because we are detached and had the luxury of turning our backs. Excluding or repressing what has been comes with a price. In the 1960's, students protested young men being killed in the war in Vietnam. Now tragically, their children and grandchildren are experiencing the "war" has come home and into the classroom. Even the weapons are the same. In the coming days and weeks their descendants will stage their own protests, and student walkouts. The question remains when will we listen and learn from the past? This is not a new question, there is no blame, it is the story of human history and historical trauma. It is a call to action to heal what has been. We have the tools; there are solutions available. WE are the elders, not the children. It is our responsibility. Let us do the real work. No more distractions, no more by-passing. Taking responsibility to transform our past, we unburden our children and create a strong future. There is strength, wisdom, and resilience when we include all that is present in the past. We don't have to live like this, and our children don't to have die like this. Our ancestors want us to thrive. Carrying the voices of our ancestors forward to awaken humanity. When I think back to a year ago this time we were wondering how we would make it through 2017. It indeed was a most difficult year for so many people, and many reasons in almost every area of life. It was a year for the books. Making us want to just tear the page off the calendar - wash our hands of it - move on and ring in the New Year. That sound's great, except experience has shown that nothing new is available if we just move on without looking back- without including the past. As we evolve we come to an understanding that running and not looking back, is a form of exclusion and does not change any issue or situation. The past follows us. If 2017 taught us anything it demonstrated how the past is alive in the present. It has had us feeling what happened to all our hard work, our personal growth, even our humanity. Yes, we have seen all forms of exclusion this past year, more than any year in my experience. Knowing that exclusion is the source of most all issues I understand we have some big work to do before expecting anything new to emerge. Then we have the popular New Year’s practice of RELEASING IT. In my experience "releasing it" is futile, a waste of time. When you release "it" where does it go? The "it" is usually our energetic reaction or response to an issue or event, and my friends, energy has to go somewhere, it does not just disappear. Exclude it. Release it, Repress it. Send it back to where it came from? If that worked why things don’t change, why do we need to do it over every year? Transforming the energy is the answer; this missing link is what creates long lasting embodied change. This is where Inclusion comes in. If you do this meditation you will experience it is something different. Inclusion works. It is through inclusion that the real alchemical process of transforming energy and our relationship to issues takes place. It is through Inclusion we found our way, and can bear to be with all that is present, to intend a different future and resource ourselves to create new outcomes for a NEW year to come. For all of the above I am pleased to invite you to participate in this 2017 Completion Ritual and Inclusion Meditation. You will need a comfortable chair where your feet can be on the floor in a private, quiet space with no distractions. I suggest you arrange to have some quiet time by yourself immediately following the ritual meditation. You may also like to light a white candle. Click Here for 2017 Completion Ritual and Inclusion Meditation. Krista Jarrard has been a dynamic force as facilitator, trainer and pioneer in the evolution of the Systemic Family Constellation work for over sixteen years. Krista brings a deep intuition and remarkable scope of wisdom to her practice with clients worldwide. Krista is passionate about supporting the current shift in consciousness by working with clients to transform their ener-genetic inheritance of the family linage. She has brought this multi-dimensional healing to clients around the world, and to international communities for awakening. She is the founder of the Center for Systemic Healing, and creator of Healing at The Heart of the Matter Immersion Learning Program. On this day of gratitude I am reminded that years ago Bert Hellinger would many times work with just three words in a Family Constellation; Yes, Please, and Thank You. It is profound to experience the depths that these feelings evoke in the Constellation circle and it is powerful to demonstrate in life. I have come to realize I experience gratitude as a declaration of wholeness. Gratitude is not a passive response to something given to us. Gratitude is being awake in the presence of everything that lives within and without us. Gratitude is not something that is shown after the event. It is the deep, a priori state of attention that shows we understand and are equal to the gifted nature of life. It is a blessing you didn't earn, create, or accomplish. It's simply available to you because you are connected to the flow of life. Through receiving life you find your place of belonging. Through belonging to your family you belong to Life. So my friends I wish you a blessed day of Thanksgiving. I am grateful to know and work with you. Scientists Have Now Observed Epigenetic Memories Being Passed Down for 14 Generations. The past lives on. ​Recently in working with a client via a Telephone Constellation it became clear that the client’s lifelong anxiety was directly connected to her father’s fear, rage, and bi polar disorder. For a Constellation facilitator that is a not a surprising connection to see how she and her entire family suffered regarding this. What was extraordinary for me to experience through the Constellation was the father’s direct energetic identification to a young African man being captured, and “hunted like an animal” and shipped to a foreign land. They both exhibited a similar response to life. It is certainly not the first time a Constellation has gone back more than 7 generations, but for it to show so specifically back many more generations is less common. The next day I received a message from a friend with a link to the newest scientific research showing just that. I often tell my clients what ever difficulty you experienced with your parents, your parents and ancestors experienced much more in their life, and you will be surprised to see who and what your issues are connected to, but they did not start with you. The specifics of what came to light in that Constellation was an exercise in humility bridging a great distance, but through the Constellation process it came to a stunning and profound healing solution that will move out into that family for generations to come. Here are the findings published in Science. Scientists Have Observed Epigenetic Memories Being Passed Down for 14 Generations. The past lives on. © 2017 Center for Systemic Healing. Krista Jarrard has been a dynamic force as facilitator, trainer and pioneer in the evolution of the Systemic Family Constellation work for over fourteen years. Krista brings a deep intuition and remarkable scope of wisdom to her practice with clients worldwide. Krista is passionate about supporting the current shift in consciousness by working with clients to transform their ener-genetic inheritance of the family linage. She has brought this multi-dimensional healing to clients around the world, and to international communities for awakening. She is the founder of the Center for Systemic Healing, and creator of Healing at The Heart of the Matter Immersion Learning Program. Discovering what you never knew, that you know. ​My client had suffered with anxiety her entire life. In the interview portion of our two hour session many issues came to light that I identified as a Systemic Source for the anxiety. Realizing this, my intention was to resource the client in our first Telephone Family Constellation. 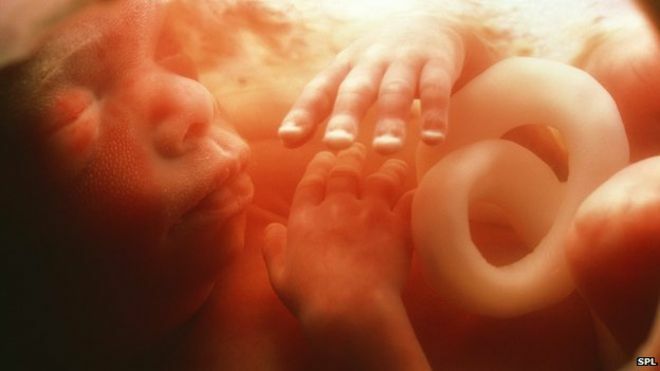 Sifting through the many difficult events she and her parents experienced, the fact that her mother had four miscarriages before her birth felt the most prominent to me. As a facilitator I am familiar with the mother, and the baby's energetic passing of trauma and traits connection, we see this all the time. Certainly the client would most likely be carrying her mother’s trauma of losing four children, and the anxiety of becoming pregnant once again before my clients successful birth. This in itself is more than enough to affect the live of my client. But as the Constellation unfolded an additional and extraordinary aspect came to light. What emerged was the fact that each of the miscarriages exhibited unique traits, or energies that the client has felt and dealt with her entire life, some supportive, and some difficult. One by one, we discovered each miscarried sibling passed on something unique to the client that has had a profound effect on her life. Working with inclusion as I do in all Constellations the missing siblings where seen, included and given a place in the heart of my client and her mother. This was an extraordinary experience for the client. As we ended she experienced a deep sense of peace. As well, she had a true bond with her mother for the first time, and a deep supportive connection to four siblings. ​Siblings that she never knew - that she knew. Of course this is just one example of many Systemic Sources for anxiety and difficulty in life. In a Family Constellation step by step through simple words and demonstrations of honor and acknowledgment the entanglements and blocks are revealed and restored to strength and love. This movement allows the client to embrace their true potential to live a full and vital life and follow their unique individuality without being burdened and caught by what went on before. This release carries a healthier sense of family strength and individual freedom, and a profound sense of relief. ​Krista Jarrard has been a dynamic force as facilitator, trainer and pioneer in the evolution of the Systemic Family Constellation work for over fourteen years. Krista brings a deep intuition and remarkable scope of wisdom to her practice with clients worldwide. Krista is passionate about supporting the current shift in consciousness by working with clients to transform their ener-genetic inheritance of the family linage. She has brought this multi-dimensional healing to clients around the world, and to international communities for awakening. She is the founder of the Center for Systemic Healing, and creator of Healing at The Heart of the Matter Immersion Learning Program.